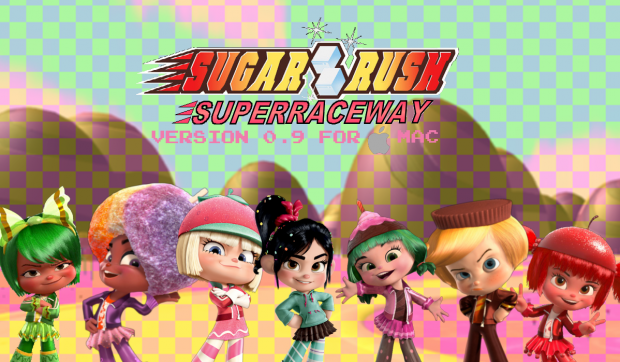 Eng: Sugar Rush Superraceway is the 3D fangame of the racing game of Wreck-It Ralph. The objective is to become the first of the finish as fast as possible before the opponents beat you. Take you a sweet race! Esp: Sugar Rush Superraceway es el fangame 3D del juego de carreras de Rompe-Ralph. El objetivo es llegar a ser el primero de la meta lo más rápido posible antes de que los contrincantes te adelanten. ¡Tomese una dulce carrera! 1. If it isn't automatically downloaded, enter the link that is just above advertisement. 2. You will have problems connecting to the Internet, and will probably cause the downloads to fail. Optimize your connection. 3. Never use an android mobile or an iPhone!! Because it isn't made for mobile but for PC, always download what is for PC in your Windows / Mac if you have it. or phone/tablet users: Please, stop being stupids and start having brain, The game is for Windows (the Microsoft operating system, not just windows at home) and for Mac (Made by the same company from the iPhone, Apple), and by ignorants, they download it wrongly on an Android/iOS phone/tablet, and it results "This program is not available for your device". If you are one of those Android, simply don't download or transfer to an SD card or Dropbox.